Yesterday was Easter. However, 296 Easters ago on April 5, 1722, the Dutch explorer, Jacob Roggeveen, discovered Rapa Nui. In reality, Roggeveen was only the first Westerner to discover the island. 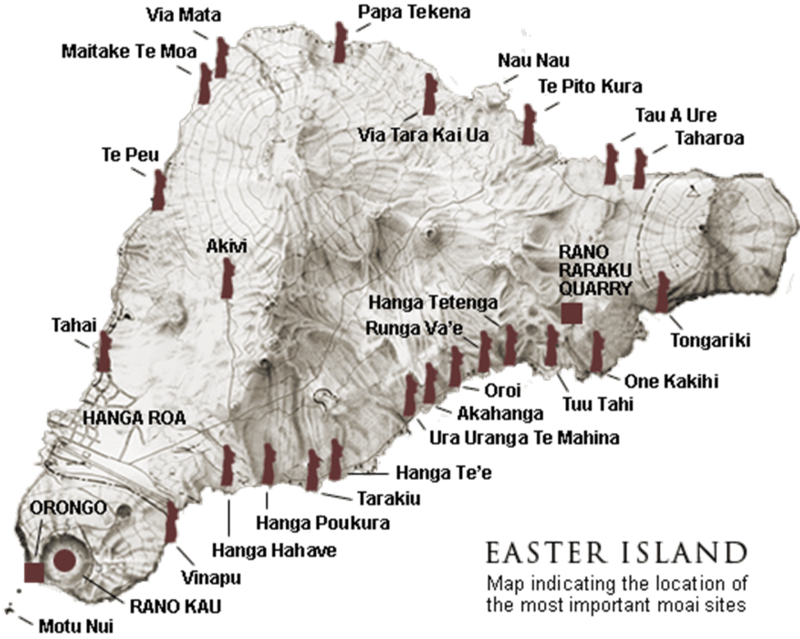 Rapa Nui actually had been discovered by Polynesians over a millennium before the Dutch arrived. 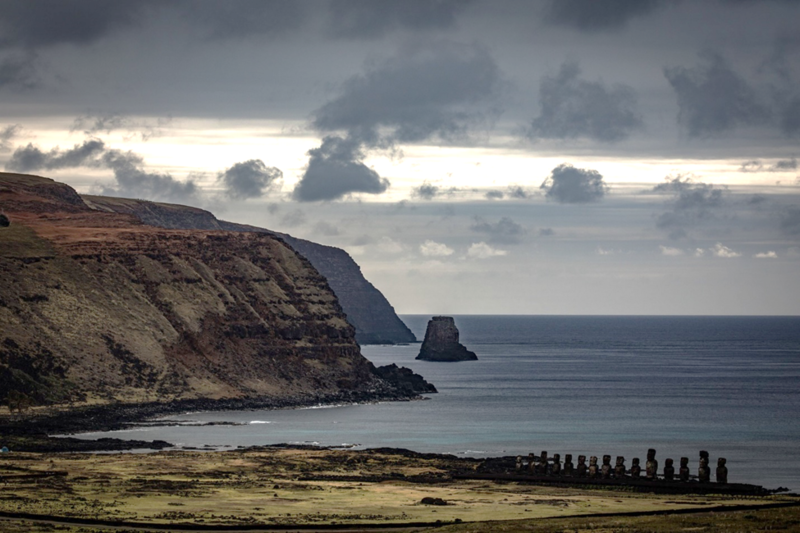 Nevertheless, Roggeveen named the island, Paasch-Eyland, which is Dutch for Easter Island to commemorate the day of discovery. Interestingly, I discovered Easter Island on Christmas, which is a strange tie-in with Easter. Easter Island is about 15-miles at its widest point and is about 63 square miles of land sitting out in the Pacific Ocean miles away from anything other than water. There are nearly a thousand moai on the island and many of which face the ocean. 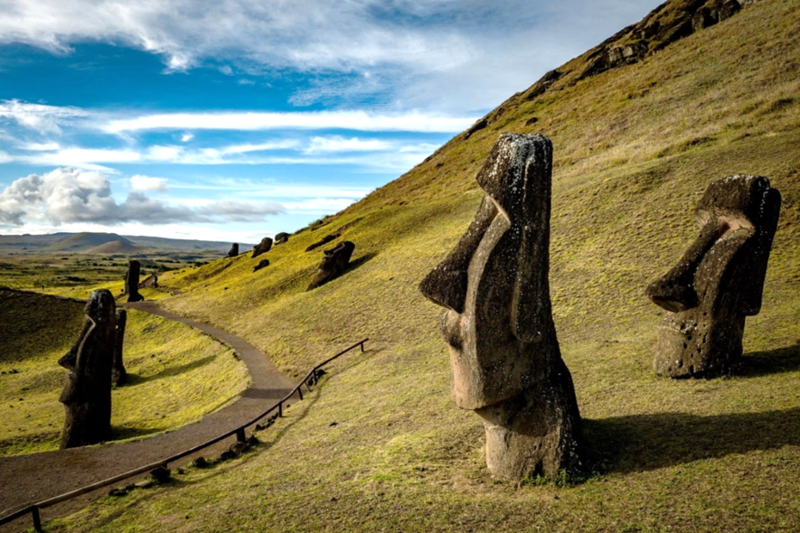 People on Rapa Nui believed that the statues protected them from invaders. On average, the moai weigh approximately 14-tons and are 13-feet in height. 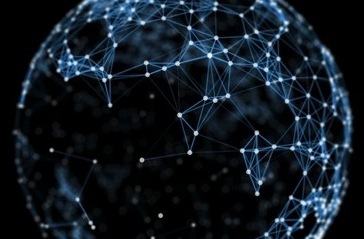 There creation spanned a half millennium from 1100 to 1680. 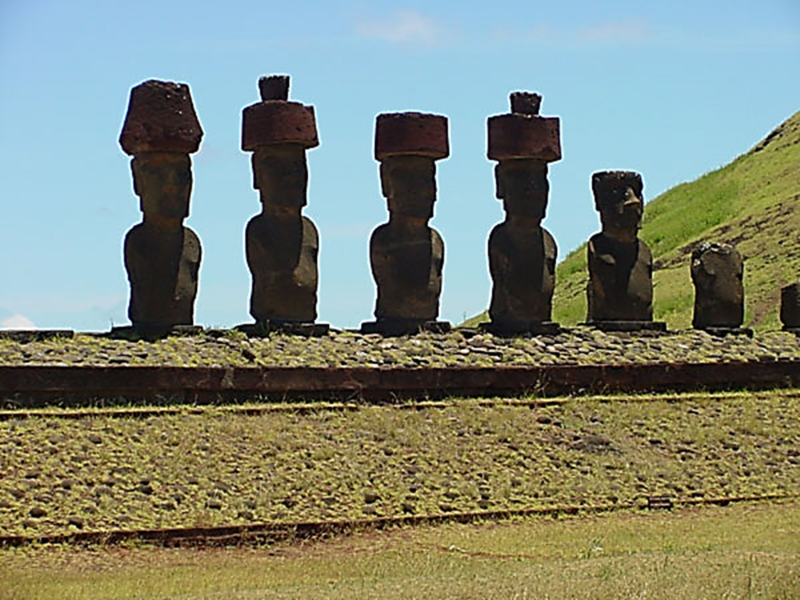 Some moai look like they are wearing hats, which are actually topknots. The topknots are called pukao, which are created by wrapping their hair into a ball. In Rapa Nui, they believed that one’s hair contained supernatural energy or power, which explains why leaders or chieftains would never cut their hair. However, recently I read in The New York Times that tragedy is stalking Easter Island. What the United Nations contends is that global warming is causing the sea level to rise. Some predictions claim that the sea level will raise possibly six feet by 2100. The ocean is going to get the moai. Imagine what will happen to these moai when the sea rises. They won’t be able to protect themselves let alone the island itself. 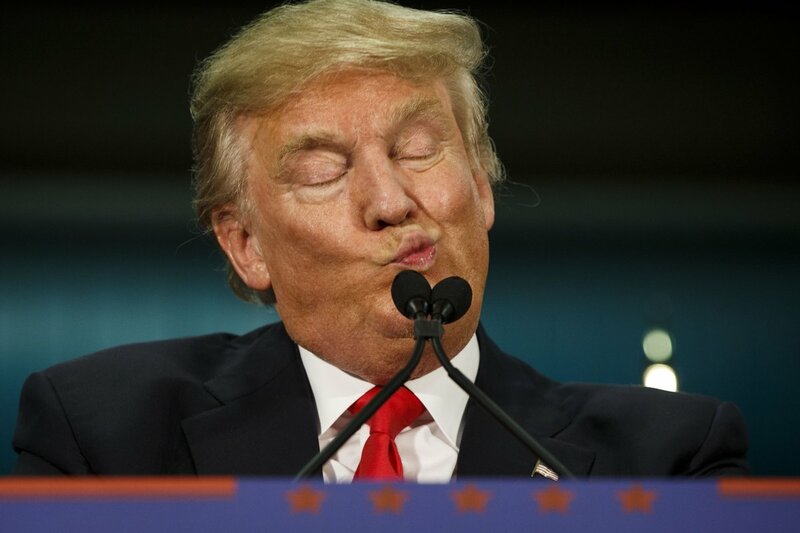 However, Donald the Dumb disses the notion of global warming, “The concept of global warming was created by and for the Chinese in order to make U.S. manufacturing non-competitive.” He also thinks “that climate change is a hoax perpetrated by the Chinese.” Yo, Donald. For a person who thinks you are smart, that is dumb. Hence your name is Donald the Dumb. This is a very interesting article from The New York Times. Click on Easter Inland. 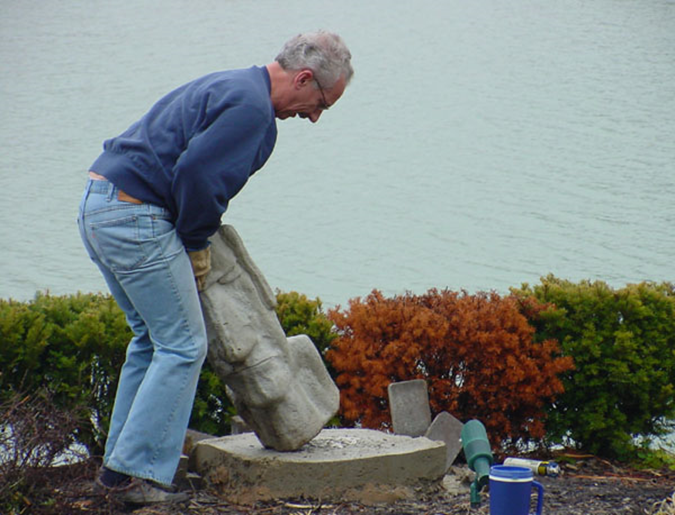 I loved Easter Island and erected my moai on Lake La Mancha.